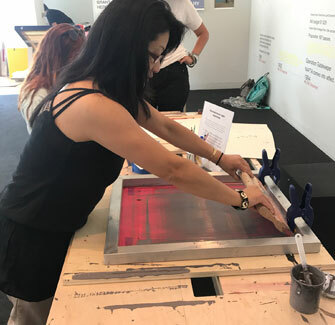 During Arts + Advocacy: Citizenship for All Adoptees, attendees silkscreened their own posters in the Sanctuary Print Shop. Visitors selected a design and ink color, rolled up their sleeves and got to work. 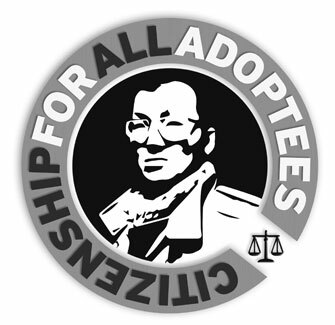 Gripping the blade to pull the ink and then lifting the screen to reveal the poster was a powerful way for people to connect with adoptee citizenship. Abstract ideas materialized as ink on paper. 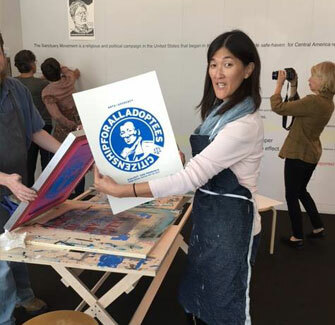 HyunJu Chappell of Magna Citizen Studio created the three original poster designs. 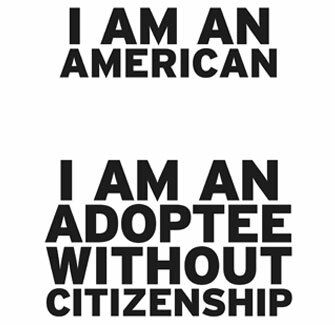 Each powerful design looks at a different aspect of adoptee citizenship. 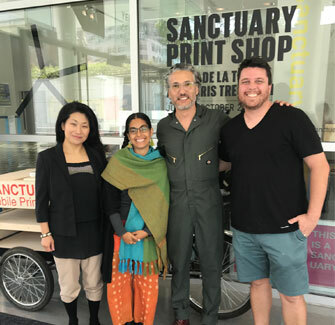 Silkscreening took place in the Sanctuary Print Shop, a community space created by artists Sergio de la Torre and Chris Treggiari. 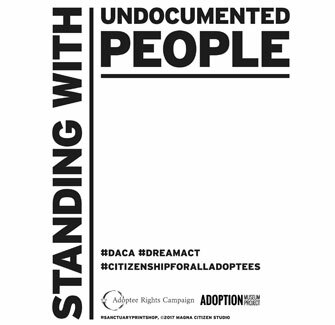 It was designed to raise awareness about the concept of “sanctuary city”, and how immigration policies impact our community. Sergio and Chris welcomed many community groups like ours to use their print shop free of charge. They were generous hosts and wise guides, and we are grateful for their support.